Imagine a world without faeries. That’s what Katie Matthews believes. When a very special letter encourages her to believe, she sets out to catch one. Infinity is a faerie yearning for excitement and she’s bored. 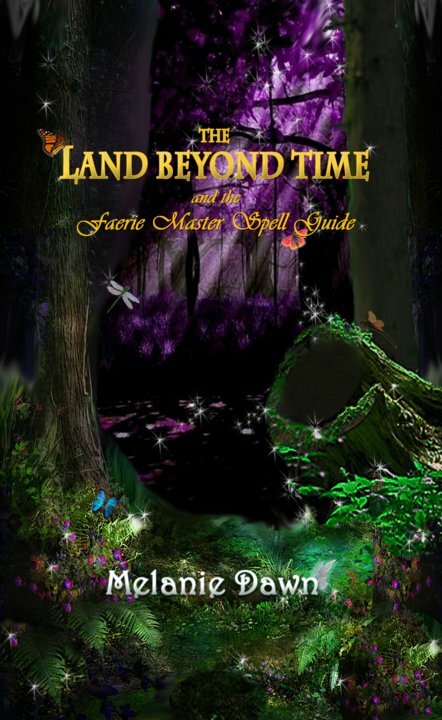 What happens when her sisters leave her alone with the most sought after book in the faerie realm, The Faerie Master Spell Guide? Well she can’t help but get into all sorts of trouble. 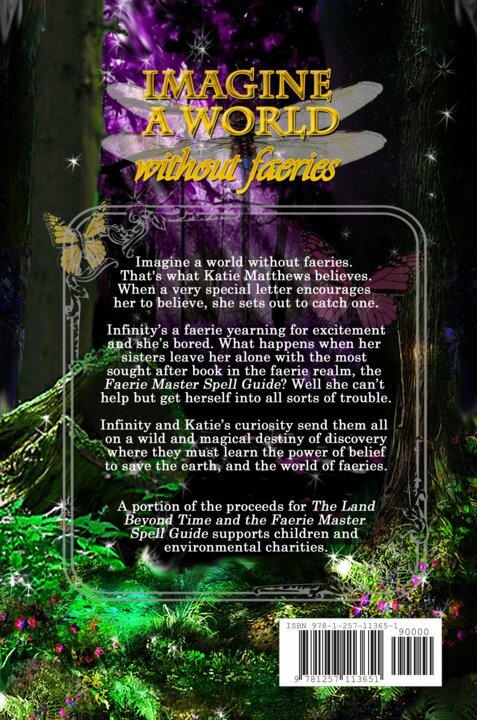 Infinity and Katie’s curiosity send them all on a wild and magical destiny of discovery where they must learn the power of belief to save the earth and the world of faeries. An elegant purple winged faerie, dressed in a deep violet gown, stood over a golden cauldron stirring its contents intently. Her sleek black hair was held in place with a thin silver faerie circlet. Light wafts of rainbow colored steam drifted up from the cauldron. She turned to her sister, dressed in a fiery orange dress, standing in the corner with her back to her. Her shimmering fiery orange wings were fluttering ever so slightly as she flipped through some pages of a book. “What does it say next?” she inquired. Her sister did not respond though, she was too engrossed in the exquisite pages before her. Beautiful pictures, pressed flowers, traces of faerie dust and gold writing adorned the pages. “Oh, umm, let me see,” she said leafing through the pages. April didn’t get many opportunities to read its contents, so when she did she tried to absorb as much as she could. “Let me see,” answered the violet dressed faerie, pausing for a moment. Her doe-like violet eyes gazed off in deep thought. She was watching something in her mind’s eye. She saw a young girl sitting in what looked like a large pillow. “We will have our work cut out for us,” she stated.